This morning, I switched on the TV to catch the second half of the Australia vs Germany game in Women’s Hockey at London 2012. Instead, I found that Channel 9’s Olympic hosts were in the studio interviewing Grant Hackett on Australia’s swimming results. Switching over to Nine Network’s second Olympics channel (GEM), they were broadcasting the same content. So, I turned off the TV, turned on ABC Radio and listened to live commentary of the rest of the game. I’ve blogged in the past about finding a better way to do sports broadcasting (funnily enough, also a hockey-watching experience), and what better place to start than the Olympics? I wonder how different the Olympics coverage will be in four years’ time in Rio? Potentially, it could (and should) be radically improved – especially with the emergence of social media and smart phones and tablets, and the rise in use of on-demand and Internet-based forms of multimedia content delivery. Given the incredible advances in the way we can deliver and consume content, why is the coverage of London 2012 so bad in Australia? Because the Nine Network and (and Foxtel) secured the exclusive broadcast rights for London 2012 way back in 2007 (yes, 2007!) and paid $120million for the privelege. There’s a nice explanation on ABC’s Behind the News on what it means to have to have exclusive rights to the Olympics – including restrictions on spectators sharing content on social media. Back in July 2007, Facebook had 30 million users. It had 955 million monthly active users at the end of June 2012. On Twitter, users were tweeting a combined 5,000 times a day in 2007. Now Twitter has over 500 million users, and just one Olympian – British diver Tom Daley – is reportedly receiving 50,000 tweets a day. In Australia, ABC’s iView wasn’t launched until 2008 – and it wasn’t until a few years later that the other television networks started offering a similar service. Apple’s first iPhone was only released in June 2007, and the iPad was still nearly three years away. Only as genius could have guessed at the impact that some of these technology advances (and more) would have in five years times on events like the Olympics. I’m pretty sure they didn’t have any geniuses negotiating the Olympic broadcast rights in 2007. 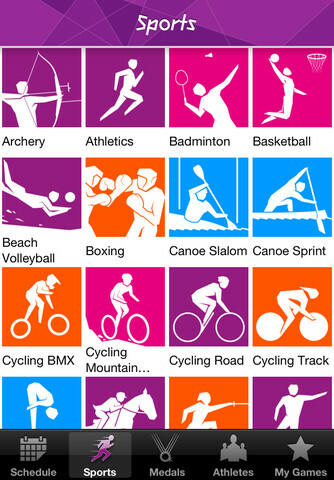 If we can add live and on-demand audio and video content, we can pretty much do away with the whole “exclusive broadcast rights per country” concept that the IOC is clinging onto, and adopt a low-cost, per-user model that seems to have worked so spectacularly well for Apple’s iTunes and AppStore. And I don’t have to deal with the frustration of jingoistic commentary, Australian medal ceremonies and races replayed for the hundredth time, the arbitrary flicking from one sport to the next and the constant ad breaks. I’m happy to have geo-targeted coverage, and also happy to have a free service supported by advertising – but I’d also be willing to pay for an ad-free premium service that gives me the ability to watch live coverage and also on-demand footage – and I bet I’m not the only one.